Our choir has a long and prestigious history and this reputation continues as every week some 50 enthusiastic members rehearse to achieve a standard which can be carried to performance. The aim of the choir is to share musical enjoyment with audiences and to help charitable organizations raise money. "Jane makes you feel that she is looking directly at you and gives so much encouragement that she gets the best out of each individual." We usually perform about twelve concerts a year and take part in various competitions. In 2015 we were successful in gaining first prize in the male voice section at three festivals. These were at Mrs. Sunderland, Eskdale and Biddulph. The annual Christmas concert with Black Dyke Band, unbroken since 1967, is a highlight for the choir and its supporters. The choir performs concerts for many good causes, raising funds for the Yorkshire Air Ambulance, Alzheimer's Society, Wakefield Hospice, The League of Friends for Pinderfields Hospital and Yorkshire Cancer Research. It has encouraged youth choirs, having enjoyed singing with the Yorkshire Youth Choir and The Halifax Young Singers and has developed concerts with local school choirs. We have a broad repertoire covering traditional male voice pieces, classic and operatic, songs from the shows and popular music. Jane graduated from Bretton Hall College as a fully qualified music teacher and spent the next ten years in a Huddersfield Comprehensive School teaching music. It was there that she started a school choir, a guitar group and wind band, organising concerts both in school and out in the community, as well as working with the Drama department on school productions, and eventually becoming the Head of Department. The birth of her daughter took Jane away from the class room for the next twenty years, but in that time she developed her already successful career as a vocal soloist, appearing on many concert platforms around Great Britain as well as on radio and television. She also began to teach piano and vocal studies privately, continued her membership with Huddersfield Choral Society and took on the post as organist and choirmaster at her local Methodist Church. Jane has been an avid organiser of concerts, bringing the joy of music and music making to the most unlikely members of her community. In the year 2000 she encouraged and project managed over 300 local residents arranging, rehearsing and finally conducting a performance of the drama musical 'Hopes and Dreams', especially written for the millennium. 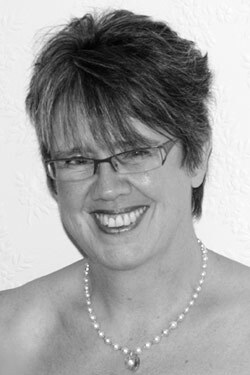 As a soloist Jane has helped raise thousands of pounds for local and national charities. One of her most ambitious ventures being when she hired Huddersfield Town Hall, raising almost eight thousand pounds for Ovacome, with a concert 'For all those remembering a Friend' in memory of a friend lost to ovarian cancer. A return to part-time teaching activities in the Infant and Junior classrooms presents many new challenges, not least setting up a brass band! However her passion and expertise lies in the human voice. Not only is she MD of three adult choirs, but Jane also leads two school choirs as well as giving one-to-one singing lessons. Her career as a conductor and Musical Director has been an organic one. Although used to rehearsing school, community and church choirs, much of that direction was from the seat of the piano. It was not until 2002 when Jane co-founded a small male voice choir, Hobsons Chorus, that she seriously took up the 'baton', and in 2008 was approached and appointed as Musical Director to Skelmanthorpe Male Voice Choir, a partnership she is enjoying immensely. Since then, Jane has been regularly called upon to give of her expertise and was appointed MD to Penistone Ladies Choir in 2011. Norman joined the choir as a singing member of the baritone section in 1978. In 1986 he was asked to be the Deputy Musical Director and a three month trial was agreed. 25 years later he is still holds that position having worked with seven Musical Directors. He has conducted the choir in many venues including two visits to Germany and has stepped into the breach leading the choir between M.Ds on a number of occasions. He started his musical interests in the Salvation Army to play the learning cornet at the age of seven. Originally from the midlands Norman studied at Oastler College in Huddersfield and started teaching in 1971. He was a headteacher for 25 years but is now retired.